After a tough road schedule to open the year that featured matchups against No. 1 Washington and No. 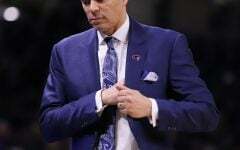 5 Oklahoma, the Blue Demons have got off to a hot start in conference play against Seton Hall and Villanova. 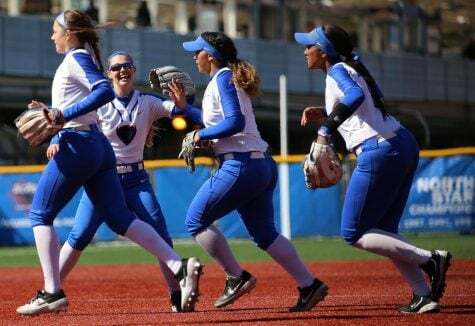 The Blue Demons are currently 11 games over .500 and won six games in a row to open conference play. 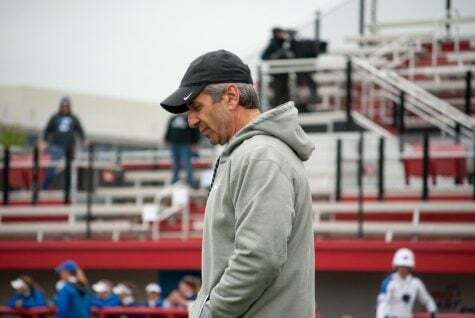 DePaul head coach Eugene Lenti said the team is playing at a high level in all facets during this recent hot streak. 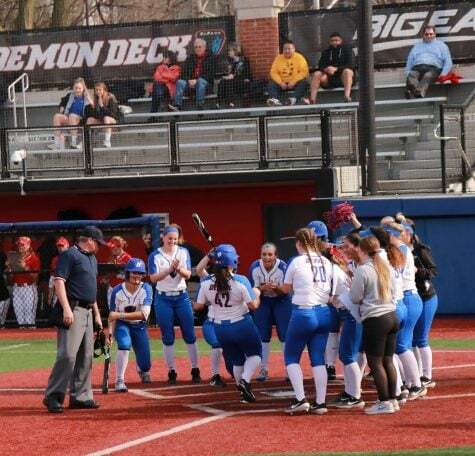 During DePaul’s six-game winning streak, the Blue Demons won four in a row via the run rule, including all three games against Villanova. 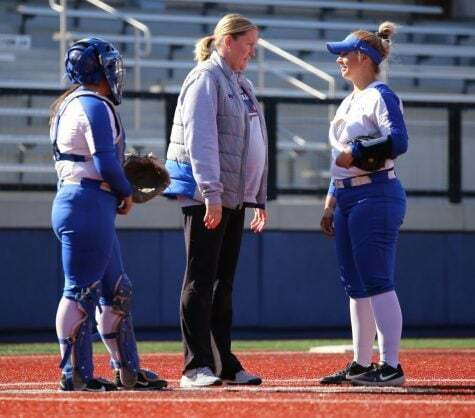 Pitching has been one of the keys to the win streak as they hadn’t allowed more than four runs in a game prior to their series against Georgetown since March 16 against Cal State Fullerton. 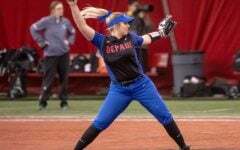 Led by freshman Pat Moore, sophomore Missy Zoch and senior Kennedy Garcia, all have attacked teams in different ways. 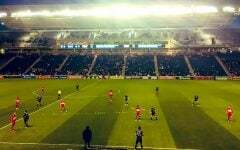 Zoch said having such a deep staff has relieved the pressure on all of them. 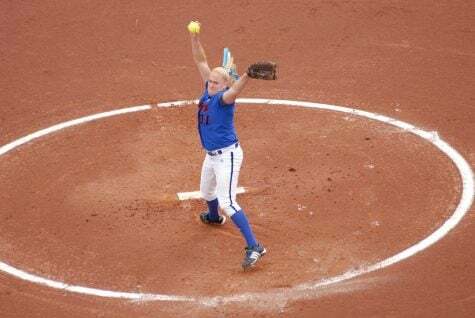 Zoch, who’s lowered her ERA from 2.98 to 1.63, attributed her sophomore jump to the experience she’s gained over the last year and a half. 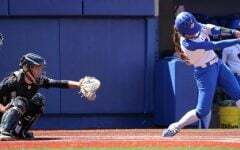 After tearing her ACL freshman year, sophomore center fielder Angela Scalzitti leads the team with 24 runs scored. 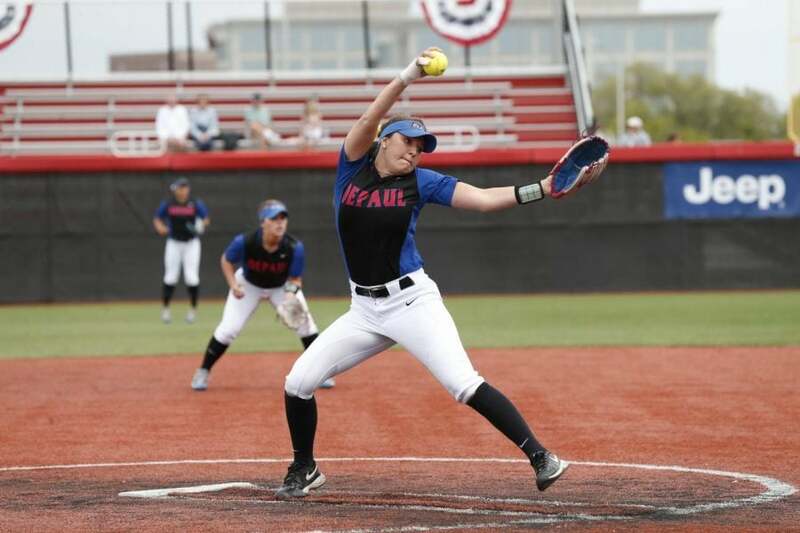 Lenti cited Zoch’s outing against Seton Hall where she gave up two early runs before settling down the rest of the game as an example of where she’s improved in her sophomore year. 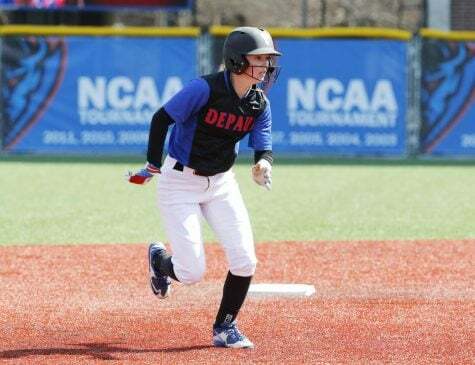 Behind improved plate discipline and timely hitting, DePaul has been scoring over nine runs per game to begin conference play. 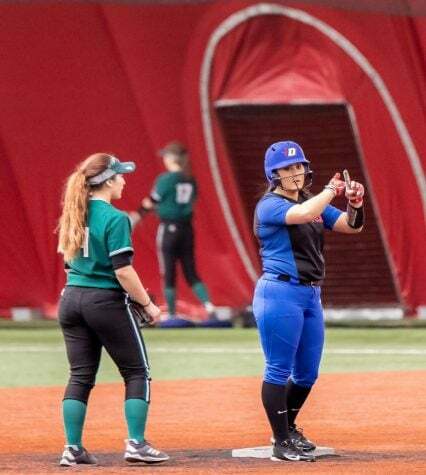 One of the key figures in this recent offensive surge has been sophomore outfielder Angela Scalzitti, who said that, after missing last season with a torn ACL, she is playing every game like it’s her last. 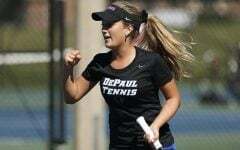 Scalzitti was named Big East Player of the Week after driving in six runs and finishing with three doubles in DePaul’s sweep of Villanova. 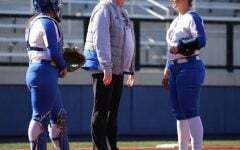 The sophomore outfielder was excited to be recognized by the conference. 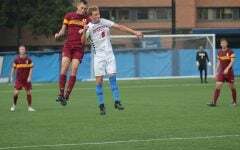 While offense and defense have been clicking in recent weeks, the team chemistry has been strong all season after a 10-day trip to Europe and fewer newcomers – there were just four freshmen this year as opposed to seven a year ago. 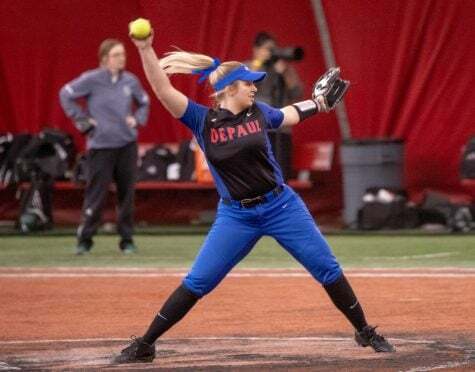 As the DePaul team gets ready to defend its Big East Tournament title in just under a month, Lenti says the team is constantly trying to improve their pitching and hitting, but hopes the defense stays right where it is. Zoch said this year’s mindset will be different as they try to win the Big East tournament knowing they already got over the hump a season ago. 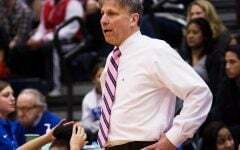 Lenti also added that staying in the moment, as they have much of the season, will also be important. 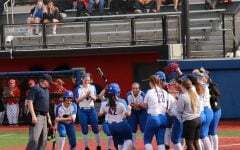 The Blue Demons dropped a 2-1 series against Georgetown this weekend, the final game ending 8-6 for the Hoyas in extra innings. 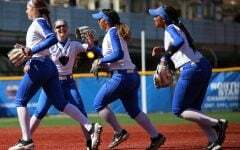 What’s incredible is how JLP apologists will tell you how successfull DePaul softball is when they really aren’t. Meanwhile we pay “Mean” Gene Lenti $191,000 a year and 40% more than the coaches at Wisconsin and Illinois, who field FAR better teams and have had way more success. Don’t know how anyone can take the Lenti family business and DePaul softball seriously. Run by “Mean” Gene Lenti and “Crooked” Kandace Lenti. What a shame.